During the recent spell of warm weather, I have enjoyed a few pleasant summer evenings contemplating our garden from the patio with a glass of chilled white wine. All too often, however, I have been driven indoors to escape the sound of radios blaring from open windows and balconies. I don’t want to listen to saccharine soft-rock ballads and the vacuous, patronising banter of the presenters under any circumstances, but I particularly don’t understand why people need this aural backdrop when surrounded by birdsong and the sound of the breeze in the trees. These are music enough for me. I rarely feel any need for background music, or any other aural diversion. When my car radio packed up recently, my initial annoyance was soon replaced by pleasant surprise at the time it gave me to think. Did I really want to listen to a repeat of Moneybox Live anyway? I suppose I’ll get it fixed, but I’m in no hurry. I appreciate that music may enliven repetitive manual tasks, and even improve one’s efficiency in performing them, but when writing or editing, it can only be a distraction from the close attention needed to do the job properly. And the idea that anyone might want background music while reading is utterly incomprehensible to me. Just why? The problem seems to be not just the scarcity of silence in the modern world, but an active hostility to it. Fearing silence, many people seem to feel a need to surround themselves with an incessant flow of sounds – in restaurants, bars, in their cars, on their phones, in parks and public spaces. For others like me, this constant bombardment by unwanted music is an invasion of our personal space – and it’s getting harder and harder to escape it. I used to love pubs; these days, I tend to avoid them. Do hospitality and catering colleges teach that speakers should be placed on every wall and in every corner, no more than five feet apart, lest any unfortunate customer miss out on the full volume – or any dissident evade the aural brainwashing and enjoy the now almost mythical ‘quiet pint’? Combined with the vogue for not having any soft furnishings, this causes the sound to ricochet around the bare walls, forcing customers to shout and creating a strenuous, almost aggressive atmosphere more appropriate to a gym than a place of rest and relaxation. Huxley was writing just over a decade after George Owen Squier established the Muzak corporation (named by analogy with Kodak) in 1934 to deliver piped music to factories to increase workers’ productivity, and subsequently to shops to manipulate consumers’ moods and increase their spending. The problem is compounded by the fact that – like the soma-numbed denizens of Huxley’s Brave New World – we have internalised this consumerist agenda and come to accept it as the norm. We have grown afraid of the silence within ourselves, so that whether at home or on the move, our reflex action is to fill every moment with aural distraction by resorting to the radio, television or Smartphone. 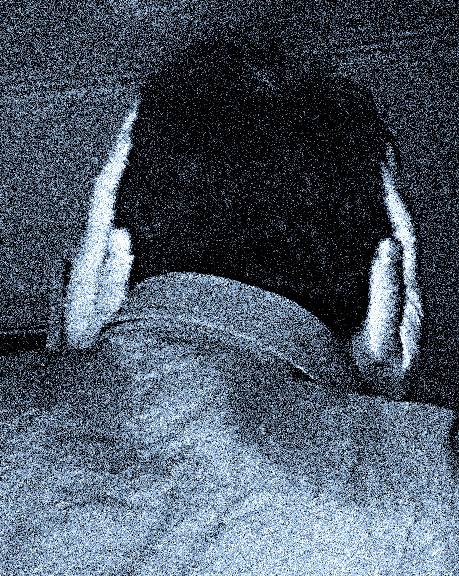 Having trained the public to expect constant aural stimulation, commercial interests can now claim that they are merely giving them what they want. Why else pipe music into spaces where we are not expected to linger for more than a few moments, such as hotel lobbies, lifts, corridors, and even lavatories? The assumption would appear to be that just a few seconds’ silence is liable to generate unease. I’m not a total purist in such matters. There are bars and cafés where well-chosen background music is an agreeable part of the ambience. At least you can choose whether to go into a particular café or not. But canned music has become all but ubiquitous: in banks, shops – including, unbelievably, bookshops –and practically every other public place. In Belgium they even pump it into the streets from little loudspeakers attached to the lampposts. Canned music in hospitals, GPs’ waiting rooms and dentists’ surgeries is particularly invasive, as you have no choice but to be there, and are unlikely to be feeling your best in the first place. Canned music colours our experience, imposing an irrelevant – and at times jarringly inappropriate – mood. A perky song playing in a café when you’re breaking up with a lover, or in a motorway service station on the way to a funeral, offends by its grotesque inaptitude; a steroid-pumping dancefloor mix is hardly conducive to a reflective cup of coffee in the morning. And where do you go for a quiet drink after a concert or recital when you want to linger in the afterglow of the music you’ve just heard, and not have the experience dissipated immediately by someone else’s choice of aural wallpaper? Pipedown, the campaign against piped music that numbers Stephen Fry, Joanna Lumley, Alfred Brendel, Lesley Garrett, Philip Pullman, Simon Rattle, Mark Rylance and Prunella Scales among its supporters, points out that many illnesses and disabilities – including autism, Asperger’s syndrome, tinnitus, ME and general hearing difficulties –can be aggravated by exposure to canned music, and that its use therefore contravenes the Disability Act of 1995 and the Equality Act of 2010. For me, listening to music – including recorded music – is an active choice. I give it the full and undivided attention I would give a book, a play or a film. I can therefore understand why musicians of all genres dislike canned music, since their training and instincts dispose them to listen rather than to screen it out. ‘I can’t close my ears,’ Daniel Barenboim said in a 2006 Reith lecture in which he mounted a scathing attack on this ‘absolutely offensive’ practice which, he argued, degrades music and encourages people not just to neglect the ear but to repress it. On board an aircraft when it ran into turbulence and the crew piped ‘soothing’ music through the public address system, his fellow conductor André Previn complained, ‘I refuse to die to this music.’ And Alex Kapranos, of the Scottish band Franz Ferdinand, in his entertaining gastronomic travelogue Sound Bites, opines that the only appropriate soundtrack to fine dining is the gentle murmur of conversation and the quiet clink of glasses and cutlery. What Burnham failed to recognise is that libraries have long been an engine of the social mobility his government claimed to support: one of their principal purposes was to make the pursuit of learning available to children – and there are still many – who could not afford to buy books and whose homes were too crowded and noisy to allow them to study without distraction. Real, intense communication is punctuated by periods of silence and reflection, rather than the constant babble of what anthropologists call phatic communication – small talk to you and me. Of course small talk has real value in making strangers feel at ease with one another, but we only establish proper friendships when we move beyond it. Taken too far, phatic communication becomes nervous chatter, a substitute for communication. Silence is also essential for contemplation, reflection, and creativity. As Carlyle wrote in Sartor Resartus (1836), ‘Silence is the element in which great things fashion themselves together.’ During the 1950s, the travel writer Patrick Leigh Fermor found it necessary to retreat to the Benedictine Abbey of St Wandrille de Fontanelle in Normandy to finish a book with which he was struggling. In A Time to Keep Silence (1957), he records how at first, he found the silence of his cell oppressive, and suffered from insomnia, nightmares and daytime drowsiness. Then, as the ‘hundred anxious trivialities that poison everyday life’ fell away, he experienced a renewed energy for reading, writing, and exploring the surrounding countryside. Fermor and Maitland’s rigorous, quasi-mystical pursuit of silence, which arose in both writers out of personal crisis, is probably not something that many people will either want or be able to put into practice, but what Maitland calls the ‘bits and pieces of silence woven into the fabric of each day’ are to be cherished, not feared and obliterated. Our inability to tolerate silence for even a short time is, I believe, a symptom of neurotic anxiety; it is almost as though we are suffering from a mass outbreak of Attention Deficit Hyperactivity Disorder. It is not merely our addiction to noise that is at issue here, but a wider craving for constant stimulus. Consumerism has infantilised us, and we can go nowhere without our toys. Travelling on the East Coast Main Line from London to Leeds recently, I was struck as I walked along the train from the quiet coach to the buffet car how almost every passenger was hooked up to some device: laptops, iPads, DVD players, Wiis, each in their electronic cocoon, oblivious to the afternoon sunlight slanting across the fields outside the window. Silence should be the default position, music a conscious choice, to be enjoyed in all its richness because it is not commonplace; increasingly, background music is the default position, and silence an extreme, eccentric – and usually expensive – choice. I believe we should be looking to build intervals of silence into our everyday lives, and to restore respect for silence in public spaces. Resist the temptation to turn on the radio first thing in the morning, just as you might resist the temptation to light up a breakfast cigarette; hold on to the silence as long as you can. Turn off the TV unless there’s something you really want to watch. And maybe we should all have at least one ‘unplugged’ day a week. Switch off the iPhone, put the iPad away in a drawer, turn off the radio, and listen to the wind in the chimney, the sound of the rafters settling, the rattle of rain on the window, the foxes barking in the garden, the hoot of a train in the distance… and the silence. What have we got to be afraid of?